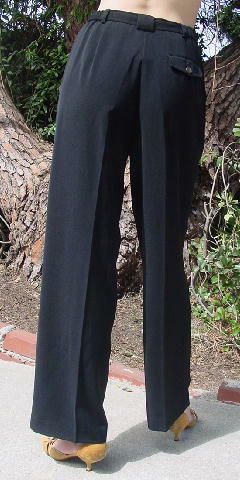 These black 100% polyester pants are by Nicole Miller and were made in Hong Kong. 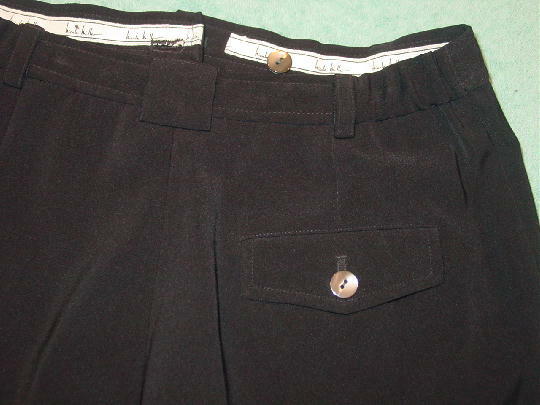 The 1 1/8" wide waistband has a 3" wide elastic panel on each back side. They have a two iridescent button closure, one exterior and one interior. 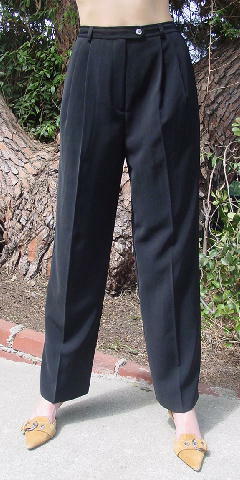 The upper front has four pleats, two diagonal pockets, and a 7" long zipper fly. The back has a flap one iridescent button closure pocket. The fabric has a nice low luster sheen to it. They're from a younger British model.